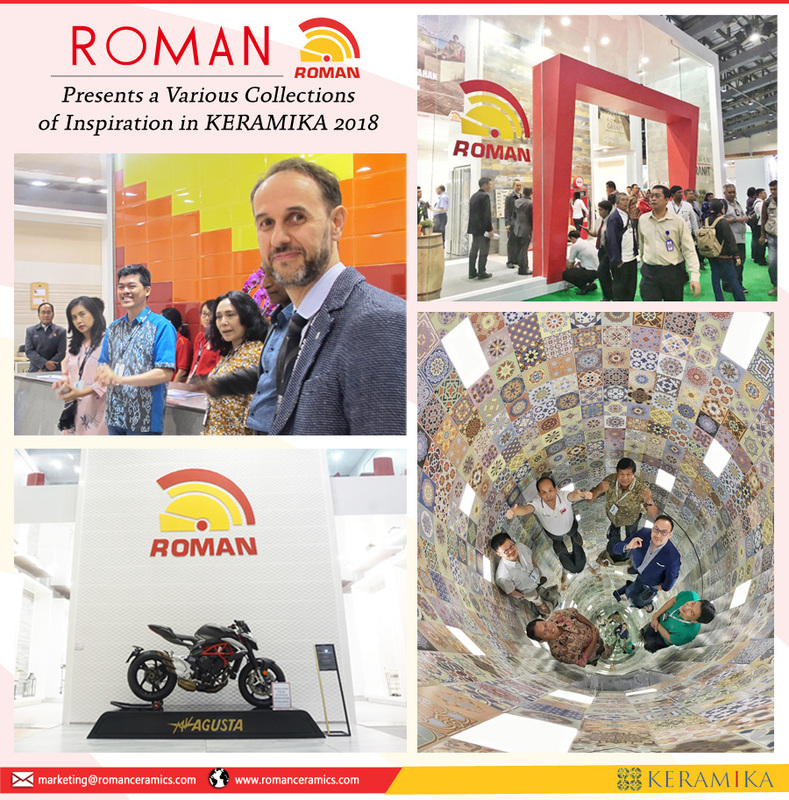 Roman presents the latest collections at the annual event initiated by Indonesian Ceramic Industry Association (ASAKI), KERAMIKA 2018. The exhibition held at the Jakarta Convention Center on March 15-18, 2018. Roman presents a variety of inspiring collections that can be applied not only for residential, but also non-residential / commercial projects. Roman presents dBrava, dCopertino, dLitura, dCapri, dKanawa, as well as colorful themed collections such as Origami, Brillo and dCaribana collections. Roman also presents Roman Rectificado 30×60 of Vinson, Sapporo, dBulgaria, dTriana, and dDevon collections. Roman Rectificado 30×60 also features a classic modern evergreen concept, in the form of black and white compilation of dAntilia and dPortoro collections. Infinitum Spatium, the Infinite Space is unique interior artwork and instagramable with an application of Roman digital proceed dSamarkand 20×20. This installation is one of the most visited and photograph during the 4 days exhibition period.